DHL Express is extremely proud to have partnered with Jenny for her world record attempt in skiing solo, unsupported to the South Pole. We chose to support Jenny in her expedition because she matches our company’s passion for tackling challenges head on. Her can-do attitude shone through in Antarctica whilst navigating the whiteouts and extremely challenging conditions. The biggest logistical task for DHL was moving Jenny’s sled from Düsseldorf, Germany, to her take-off point in Punta Arenas, Chile, along with all the supplies and equipment she needed from London in good time. Like Jenny, we value the importance of speed but also safety in completing any goal, wanting to ensure everything she required arrived promptly and in perfect condition. This required us to engage with several departments across various countries, including customs clearance processes for export and import. 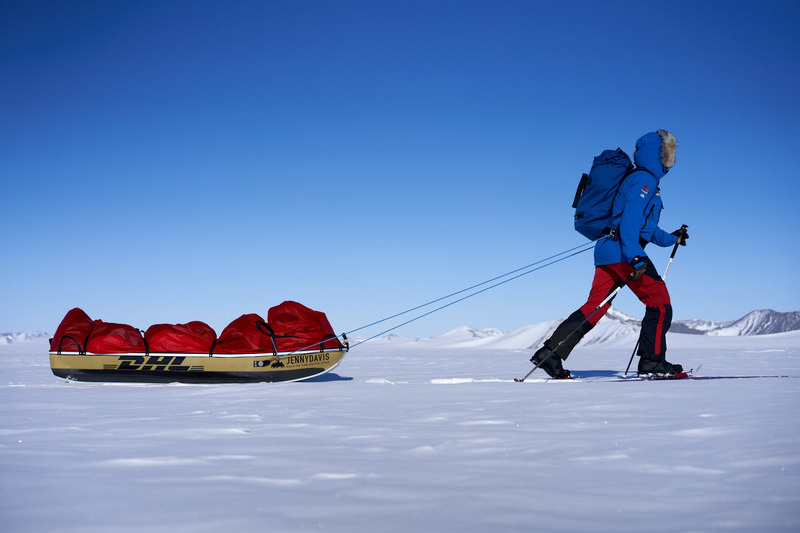 As always, we aimed to prevent any delays to the shipments, working with our restricted commodities team to make sure all the materials were suitable for travel – from her energy bars to her sled. On the ground, our facility teams and couriers were involved in the handling and successful arrival of Jenny’s equipment – a true team effort ensuring a smooth start for Jenny. Just like Jenny, we’re always aiming to be the best in our field, and it has been a privilege to help such an inspirational woman take on this incredible feat. When we heard the news of Jenny’s medical evacuation, everyone at DHL was hugely disappointed for her and, despite Jenny not making it to the finish line, we’re immensely proud of all that she has achieved.